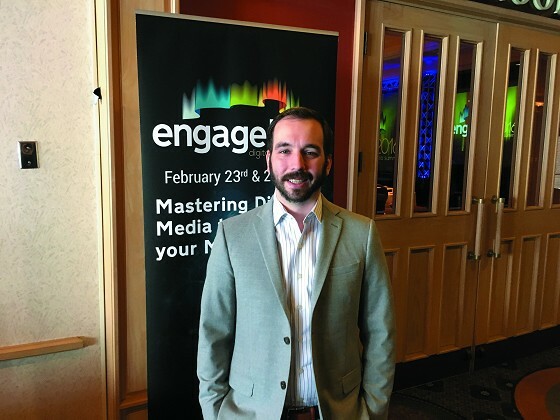 The first Engage Digital Media Summit was held recently in Thunder Bay at the Valhalla Inn. It featured some exceptional speakers that offered current information. David Ciccarelli is the CEO and Co founder of voices.com and was born and raised in Thunder Bay, which has always been near and dear to his heart. The company now has a current team of over 100 employees. The firm has attracted new employees and retained their staff. David Ciccarelli went to school for audio engineering and then came back to Thunder Bay to open a small recording studio in his parents basement. He moved to Southern Ontario and opened the studio again. Here he met his wife and together they transformed from running this recording studio to this online marketplace. Evan Hadfield is the CEO of launch-pad and son of famous astronaut Chris Hadfield. sphere. We can connect with anyone and a major nation driving the worlds economy.